As a proud local, family-owned, veteran-hiring, and NYS certified Women’s Business Enterprise, we understand that the way a business treats its customers is critically important to successful partnerships; that's why our company culture is centered around the fundamental values of trust, respect, reliability, and attentiveness. At Regional Distributors, Inc. your success is our success and we value the strong and transparent partnerships we create with our customers. We are in partnership with you to ensure that you have the quality products you need and superior customer care you deserve. Our Account Managers pride themselves on being product and solutions specialists and have earned the reputation of being exceptionally service-orientated and dedicated to our customers' ongoing success. Our team will conduct ongoing in-depth assessments of your facility and recommend the products that will be most efficient and cost effective. Trained to be responsive and knowledgeable, our account managers will set your mind at ease when making decisions about the products and solutions that will work best for your specific product, solution, and budget needs. Our Customer & Sales Support Team takes pride in providing professional, friendly, and responsive support to ensure that every customer experience is exceptional. Whether inquiring about a product, placing an order, determining delivery requirements, or relaying feedback, rest assured that our Customer Service team is attentively listening to your needs to deliver quality service and complete satisfaction. Our Warehouse Operations Team and Drivers understand that without accurate and timely shipments, little else matters. That’s why our distribution professionals refine processes and procedures to continuously perfect our reliability and responsiveness. As a company, we pride ourselves on recruiting top talent in the industry and working with the latest advanced distribution technologies for one common goal – to deliver our customers a “Total Package” of the best solutions and quality products from trusted brands with superior customer care. Learn more about our staff members below and visit our Employment page to join our team dedicated to excellence. Tracy Scalen has worked in the wholesale distributing industry for over 20 years and started Regional Distributors, Inc. in 1994 with her husband, David, Executive Vice President and General Manager, after recognizing increased opportunity in the marketplace. Ever since her trucks rolled out for the first time in 1994 she has been overseeing everything from account management, strategic acquisitions, business and warehouse operations, finance, HR, marketing, purchasing, and managing the company's leadership team. As President and CEO, she is a source of inspiration, vision, and encouragement to her entire team and nurtures every aspect of the company for growth and success. Her vision to excel Regional in the marketplace by utilizing progressive, relevant technology and her passion for delivering the highest level of efficiency and service to customers has grown her company into the multi-million dollar business it is today. Outside of work and caring for her three children, Tracy enjoys supporting the community she grew up in by volunteering at and sponsoring numerous local organizations, such as Lollypop Farms, East House, and CDS Monarch to name a few. She proudly donates upwards of $20,000 annually to numerous local organizations and businesses to help advance and support the Rochester community. Regional Distributors, Inc. is a proud NYS certified Women’s Business Enterprise (WBE). Our certification validates that a business is at least 51 percent owned, controlled, operated, and managed by a woman or women. As a certified women-owned business enterprise, Regional Distributors, Inc. is proud to promote equality of economic opportunities, eliminate barriers to minority and women participation in state contracts, and support New York State’s economy with increased access to opportunities for minority and woman-owned businesses. 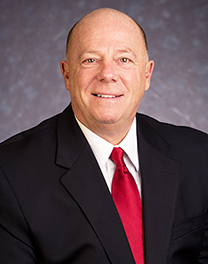 David Scalen helped start Regional Distributors, Inc. in 1994 with his wife, Tracy, President and Chief Executive Officer, after recognizing increased opportunity in the marketplace. David has worked in the wholesale distributing industry for over 20 years and started as a salesperson at Oken Distributors. 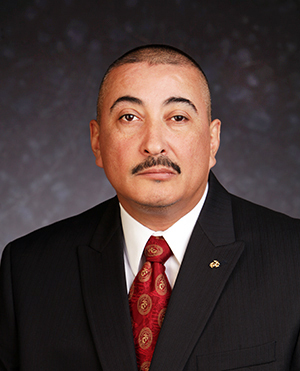 As Executive Vice President, he assists in expanding Regional’s growth and outstanding service reputation and helps oversee sales, operations, and support. David also acts as the company's sustainability expert and advises numerous local businesses, including Rochester Institute of Technology Dining Services, on sustainable practices and solutions that balance health, quality, and satisfaction with environmental stewardship. David holds a B.S. in Political Science and Pre-Law from the University of Buffalo. Outside of work, he enjoys reading, music, keeping fit, playing guitar, and enjoying time with his three children. 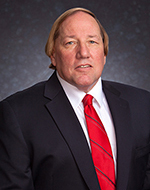 Charlie LaRocca has more than 35 years of experience in the wholesale distributing industry. As Regional's Vice President of Sales, LaRocca uses his talented expertise and insight to continually recruit and grow a dynamic and vibrant sales force. Since joining Regional, LaRocca and his sales team have increased sales fourfold with sales projections showing continuous growth. Prior to Regional, LaRocca worked as a sales manager and partner at Oken Distributing. Owner David Scalen recruited LaRocca in 2003 after working with him at Oken and recognized him as an vital asset needed to support and advance Regional’s growth. 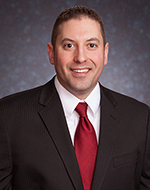 LaRocca graduated from Monroe Community College with an A.S. in Business Administration. A father of two, LaRocca enjoys reading, outdoor exercise, and experiencing new restaurants. Mary Deacon began her career at Regional Distributors in 2002 as a Customer Service Representative. She played a large role in the integration of the company's acquisition, as well as assisted with the conversion of a new computer system in 2003. Her proactive work ethic, strong analytical and organizational skills, and dedication to customers and staff helped her quickly rise within the company. She has become vital to Regional’s daily operations and takes pride in being part of a team that perpetuates positive energy and continuous momentum. In addition to overseeing vendor contracts, bids, customer pricing, and major accounts, Deacon is also responsible for IT special projects, service technicians, and the smooth and efficient flow of day-to-day operations. Deacon’s background in the wholesale distribution industry began with several years of experience at RMA/Kolko Corporation after graduating from Monroe Community College with an Associate's Degree in Liberal Arts. She also spent 14 years as a payroll specialist and software tester at Paychex. In her spare time she enjoys spending time with her husband and two daughters, gardening, reading, camping, and listening to music. Angel Aguayo started his career with Regional Distributors in 2015 as part of the route driver team. His strong work ethic, professionalism, and innovative and collaborative ideas quickly made him a stand out team member, elevating him to his current position. He retired from the United States Marine Corps in 2004 after 22 years of service achieving the highly respected rank of Master Sergeant. His military background consists of police investigations, accident reconstruction, protective service, and recruiting, however, the greatest skill he brings to Regional is his leadership expertise. His prime objectives as Director of Operations are simple - support the mission and vision of Regional and ensure the welfare of the company’s drivers and warehouse staff, while at the same time looking for ways to improve upon the efficiency of the department. Angel has attended numerous educational institutions during his years of service. Approximately 10 of his 22 years of service were spent deployed overseas and around the world. His personal military awards include Meritorious Service Medal, Navy & Marine Corps Commendation Medal, Navy and Marine Corps Achievement Medal with gold star, and Good Conduct Medal with silver star. Angel also spent several years in the Nuclear Security Industry after leaving the Marines. When not working, Angel enjoys spending time with his family. He also enjoys the outdoors, camping, and woodworking. 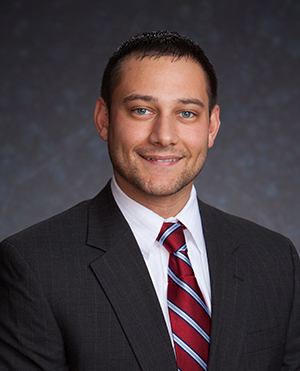 Lance Boyington began with Regional in 2008 as an intern. His innovative insight, impressive education, and enthusiasm to grow with the company awarded him a permanent team position in 2010. He has continually aided in Regional’s growth into the successful company it is today and adds to the company’s culture of flexible and efficient management. As Director of Purchasing, he oversees inventory and pricing for the company. Additionally, he investigates and integrates innovative new products to benefit customers and to ensure they are current with the latest industry trends and advancements. 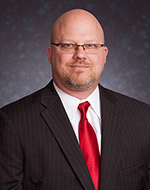 Boyington holds a B.S in Economics from Hobart and William Smith Colleges and M.S. in Finance from the Simon Business School at the University of Rochester. In his free time, he enjoys sports, motorcycle riding, boating, traveling, and enjoying time with family and friends. Amanda Kelley joined the Regional team in 2013 and is responsible for the company’s marketing, branding, communications, social media, new business, and CRM initiatives. 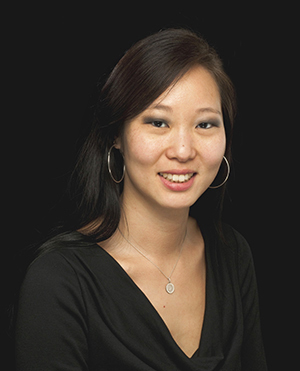 Her six years as a Photo Editor at TV Guide Magazine in New York City and four years as the Director of Marketing & Communications for Student Auxiliary Services at the Rochester Institute of Technology (RIT) have given her the opportunity to work on numerous integrated marketing strategies and campaigns. Her impressive work expertise, energetic personality, and passion for marketing have made her a welcomed member of the Regional family. Kelley holds both a B.F.A. in Advertising Photography and M.S. in Communication & Media Technologies from RIT. In her off time, she enjoys spending time with her family and friends, biking, and reading. Regional Distributors, Inc. is committed to providing the highest level of quality and service to our customers. We achieve this by drawing on the synergies between our skilled and dedicated workforce and the utilization of leading-edge technology and equipment. Regional Distributors, Inc. is a trusted partner to Western NY and Albany businesses who are dissatisfied with inefficient commercial products that do not meet unique business needs and customer service that often falls short of expectations. Regional Distributors, Inc. is a one-stop, streamlined supply source for quality commercial cleaning, paper, food service, and green products that are proven to reduce time, labor, and costs allowing your business to thrive. Unlike impersonal big-box companies whose customers are just a number in a database and quality is replaced with quantity, our local, veteran-hiring, family- and woman-owned business works individually with each of our customers. Your success is our success and our team focuses our expert industry knowledge, advanced technologies, and enthusiastic energy to create customized solutions designed to not only exceed, but transform expectations. We proudly add value to our partnerships by creating exceptional customer service experiences delivering the streamlined supply solution you need and the exemplary service you deserve. Passionately focus on driving customer success. Service the customer with infectious enthusiasm. Employ the right people – the most important component of our success. Drive down operational costs and maintain flexibility for competitive advantage. Create a clear, simple, reality-based vision and communicate it to all. Possess enormous energy and the ability to energize others. "I’ve had the pleasure of working with Regional Distributors for the past 12 years and have experienced outstanding outcomes. Their team goes above the rest to know business trends and buying opportunities that will benefit their customers, and are extremely innovative when recommending the best solutions for my needs, while always upholding my high quality standards. They consistently supply excellent order accuracy and customer service and always take a genuine approach to solving business concerns and cost savings. I have gained more success from their guidance than I have from attending seminars and trade shows, and I truly appreciate their genuine dedication to our success. "In 2016, we put our paper and other related products out to bid. We awarded the bid to Regional Distributors, Inc. based on a number of factors. One of our concerns was how the transition would be handled and would it be as efficient and painless as possible. I am pleased to say it was both efficient and painless, and although there were a few glitches they were easily and professionally addressed. Regional’s I.T. folks came out and worked directly and closely with our systems manager who was very satisfied with the process. There was some adjustment of products on our part (which was to be expected) to take full advantage of savings offered, but it all “shook out” well. We also purchased a new MEIKO dish machine through Regional Distributors, Inc. and were very satisfied with the installation and quality of the machine. As of 2018, they are still our supplier of choice." "The sales and support staff at Regional Distributors always respond quickly to any questions we might have in regard to products or applications. I can keep my focus on my business because Regional knows how to get it right and they do business the way it should be done. The great people that work at Regional make them an outstanding company." "It is obvious to us that everyone at Regional Distributors, Inc. is truly dedicated to ensuring their customers are fully satisfied. No matter what we have needed, whether it is products or services, we can always depend on prompt and reliable service. When we had a challenging cleaning situation, our Account Manager worked with us bringing samples and conducting equipment demos until we were able to find the right solution. In addition to excellent customer service, Regional has worked diligently to ensure that our operating expenses are kept in line and have reduced our costs without sacrificing quality or results. In fact, in many cases we have been able to improve quality and overall results at a lower cost. In today’s environment, it is reassuring to have a partnership with a company who is always there for you and looking out for your best interests. In short, the services provided to us by Regional have been outstanding." "The services we've received from Regional Distributors have been exceptional. The timeframe in which orders are delivered is extremely fast and we've never received even one complaint about the quality of products or service. We've had a wonderful experience working with the company and look forward to continuing our business with Regional Distributors." "Regional’s large stock of inventory and prompt delivery is a very important factor in the repair and maintenance of our vehicles. We have had only pleasant interactions with the sales, delivery, and customer support staff and businesses that choose Regional Distributors as a vendor will be very satisfied." "When choosing a supplier, price is always one of the key factors that determines who will receive the business. Regional isn't only the company that has the best value, they also provide invaluable recommendations for highly efficient products and cost-saving alternatives. Their team goes out of their way to help each of our dining units evaluate their needs and provide specific products that work best. They also act as a sustainability advisor to Dining Services to help increase efficiency and reduce our resource consumption. If you’re looking to make a change in supplier, I highly recommend Regional Distributors." "The customer service team and drivers at Regional Distributors, Inc. are some of the most impressive people we work with and never hesitate to go above-and-beyond to meet our needs. They truly understand the meaning of ‘exceptional customer service’ and save me time by being exceedingly attentive, efficient, and responsive – qualities of the utmost importance to any busy person strapped for time. Regional's hard-working team of drivers and customer service representatives are truly their greatest asset and we sincerely appreciate their terrific service."